Make certain your goals are SMART (cliché, but it works)! Be Specific. It’s hard to hit a moving target. If you can’t articulate where you’re trying to go, then quite simply, you’re not going to know whether or not you get there. Be honest and specific with yourself. This will require you to not only think about exactly what you’re trying to accomplish, but also about challenges and road blocks that will likely arise, and plan accordingly in advance. Write out your goal. Is it specific enough to help you focus on it attain it? Can you control your success in reaching it? Even if you can’t, it still may be the right goal. Think about key elements of reaching the goal that you can control. For example, you may have a professional goal of being promoted. You can control key elements of your performance, but you can’t ultimately control whether or not you land the promotion. Make your goals Measurable. Whether your goals are personal or professional, you need to have a way to measure your success. For health goals, it’s easy. You get to watch the numbers on the scale or improving fitness stamina. Professional goals may take more thought to ensure you have measurable metrics that you have access to in order to accurately determine your success. Determine for yourself how each goal will be measured. Your goals should be Agreed upon. Unless you live in a bubble, your life intersects with others. Your success in attaining your personal and professional goals will rely at least in part on the actions or inactions of others. TALK about the challenges that are foreseeable. Perhaps your fitness success will be dependent on a partner helping with childcare, or a professional goals requires someone else at work to complete their task first before you can do yours. Discuss your goals with others. If you don’t have agreement from others who will directly impact your success, you’re setting yourself up for disappointment. Keep your goals Realistic. If you knew me, you’d know I don’t mean keep them small. Ensure your huge goals are broken down into realistic milestones – points along the way where you can celebrate your success and stay motivated. These realistic milestones will also help you to clearly see the path to get to the big goal. One step at a time, while looking ahead at the prize. Keep your goals Time-based. Whether personal or professional, set up a timeline when you will measure your success. These measurement points will allow you to regroup, revise and celebrate success. 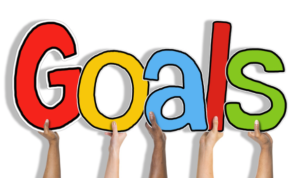 Finally, I find goal setting and attaining is always better with a partner. Find a friend, your spouse, or a trusted colleague to be your goal partner as you embark on your New Year resolutions. 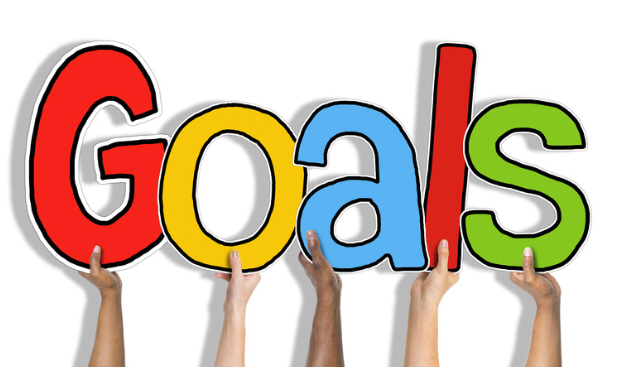 Write out your goals and share them with each other. Talk about them and talk about ways you can encourage each other’s success (or hold each other accountable.) Agree to meet at scheduled times throughout the year to revisit the list and talk about the progress. You’ll be more likely to stick to it with a friend.